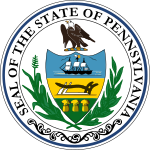 Pennsylvania's Auditor General election was held November 2, 2004. Necessary primary elections were held on April 27, 2004, with both major party candidates running unopposed. Democrat Jack Wagner, a state senator from Pittsburgh, was elected auditor general; he had previously been the endorsed Democratic candidate for lieutenant governor in 2002, but was upset by Catherine Baker Knoll. The Republican candidate was Joe Peters, a Department of Justice official who was well known for prosecuting Philadelphia mafia boss Nicodemo "Little Nicky" Scarfo. This page was last edited on 14 February 2019, at 01:42 (UTC).